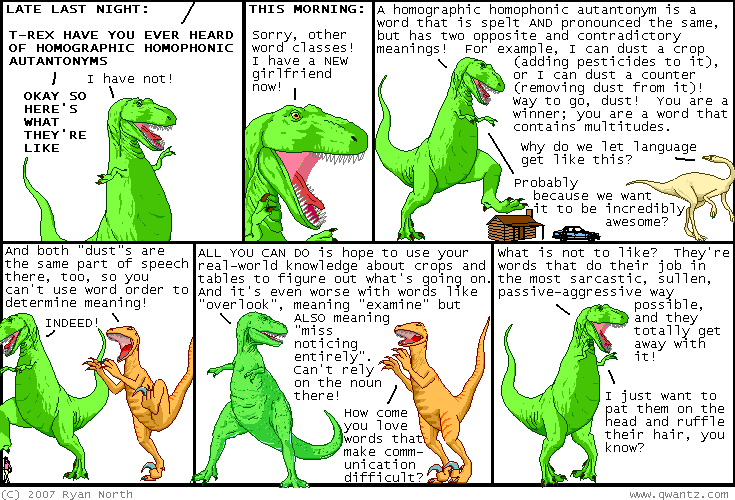 Dinosaur Comics - November 2nd, 2007 - awesome fun times! –The Incr-- The Fant- The Sweet Dudes! Dan sent me a link to this article, which shows PHOTOGRAPHIC PROOF of T-Rex the Sky God. He looks happy! So, that's good! Hey, did you make a Dinosaur Comics pumpkin this year? Send me a picture! I've got one but I'll hold off on posting it until Monday in case there are others.